The team at Leighton Hall really understand what is needed to make your group visit a success.These commendations reassure you of a top quality day out at an attraction that has been welcoming coach parties and groups for over 40 years. Home of the Gillow furniture making family, a trip to Leighton Hall gives your group, access to beautiful grounds and gardens for an afternoon stroll, entertaining and fascinating house tours, breath taking flying displays from birds of prey and delicious homemade cakes and plenty of tea served how it should be in “real” tea cups, in our charming tea rooms. We regularly welcome pre booked parties of 25 or more. We give your coach driver free entry to the hall, a free meal and perhaps most importantly free and ample parking in our coach park. We haven’t forgotten about the Group Organisers either. We provide you with a free tour of the Hall when you bring your group to us. Drop off your party right outside our front door, relax, and let our friendly and enthusiastic guides do the rest. 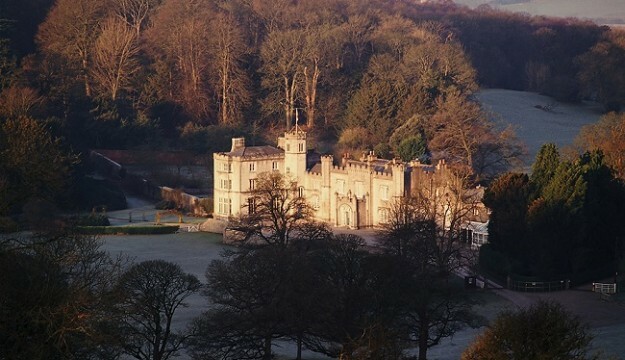 A day out in the country, yet only 5 miles from the M6, we offer 3 themed packages, (Inside Leighton Hall, Tea and Tour and Candlelit Tour) so whether you’ve a fondness for flora or a passion for the past, there’s a fulfilling package for you.